A snug double bedroom facing the back of the pub. This room has an en-suite with a shower. 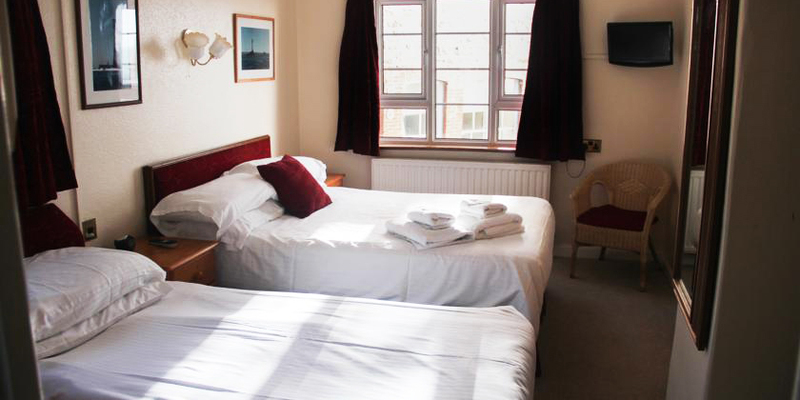 A relaxing comfortable sea view double room with prime views of the Jubilee pool. 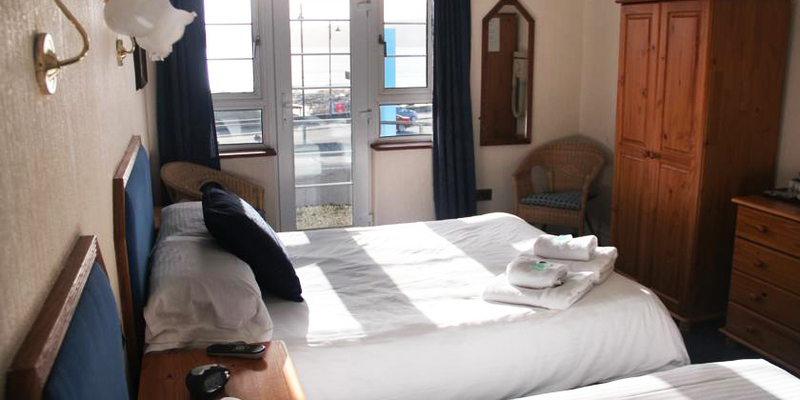 This room has an en-suite with a shower..
A comfortable double room with views overlooking Penzance promenade. This room has an en-suite with a bath & shower. 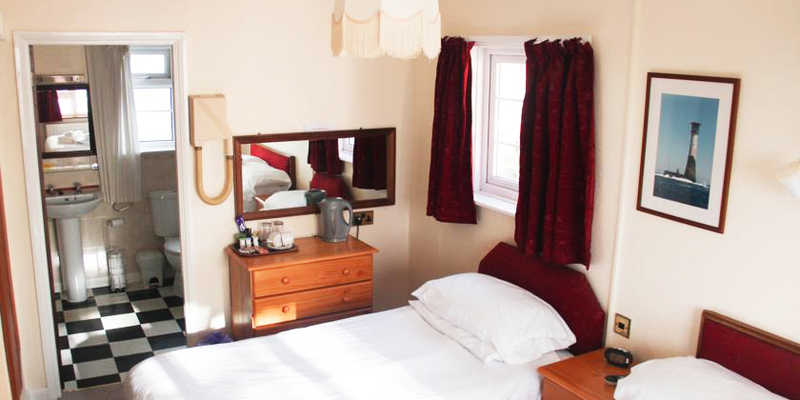 A large room consisting of a double bed and a single therefore allowing the option to sleep a family or group of 3. 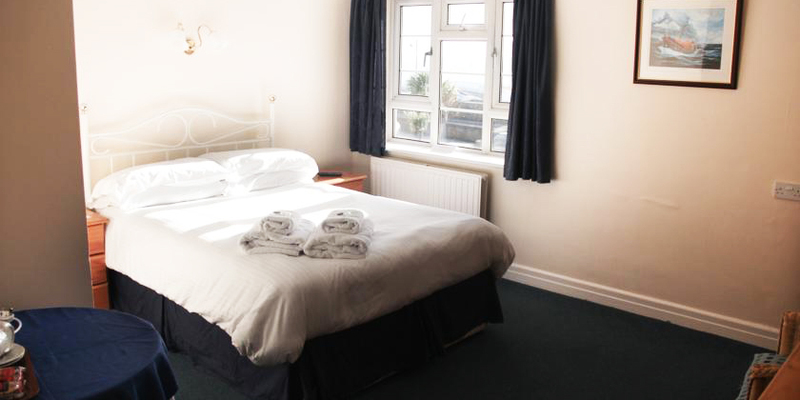 This room has stunning views over battery rocks and the Jubilee pool. This room has an en-suite with a shower.p to three guests in our triple room. A cosy twin bedroom towards the back of the pub. This consists od=f two single beds and has an en-suite with a shower. A relaxing comfortable double room. This room has an en-suite with a shower.